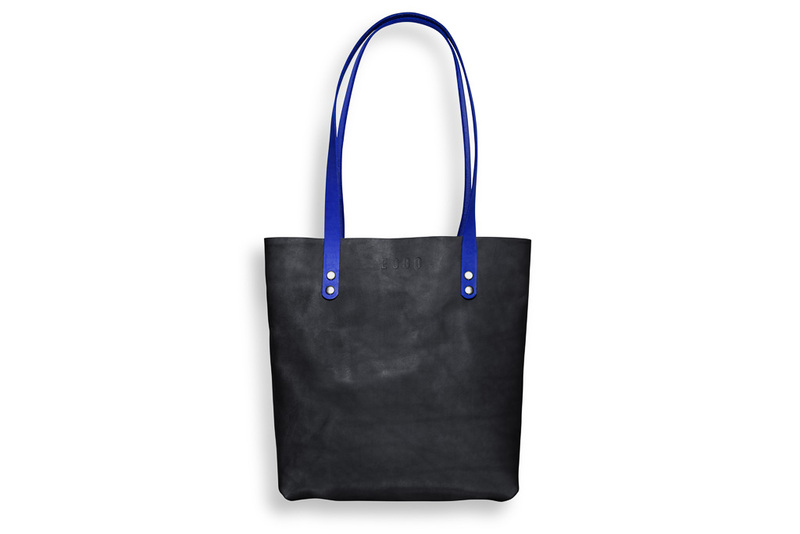 A 1.6 mm thick cowhide leather tote-bag. Carry over the arm via two 2 cm wide and 74 cm long handles. Dimensions: 35 x 30-38 (width extends from the bottom up) x 10 cm. 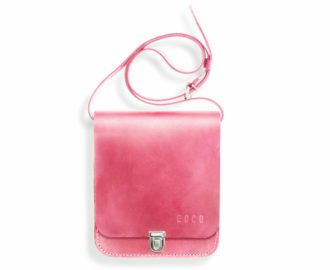 Inside the bag there is a small pocket for your wallet or other small items. The bag can be closed with buttons hidden beneath the handles.